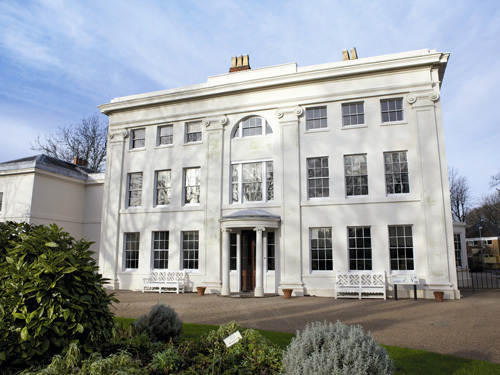 The former home of industrialist and entrepreneur Matthew Boulton, Soho House has been restored, with period room settings (including some of Boulton's own furniture), and displays on his factory and his family. 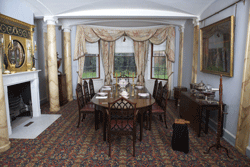 Visitor Centre with permanent exhibition on the Lunar Society, and temporary exhibition gallery. Garden. Bus: nos. 74 & 79 from city centre (Bull Street), alight at Villa Road and walk back a few yards to Soho Avenue. Car/coach: Soho Avenue is off the A41 Birmingham-West Bromwich road, approx. 2 miles from Birmingham city centre. Cars: parking for approx. 25 cars on site. Allow 1-2 hours at least. Large parties are divided into groups of about 15 people and admitted at intervals to avoid overcrowding. Plenty to see in Visitor Centre/garden while waiting.